Yesterday I had the opportunity to see a presentation on the innovative workspace and culture of a company with a location in Des Moines. Pillar Technology utilizes a model that emphasizes collaboration and constant learning in an open work environment where employees are accountable to each other for their tasks. The Forge philosophy seems to create a productive work environment where employees feel valued and, as a result, perform very well in their jobs. Greg Orton, a Software Craftsman for Pillar Technology, led a presentation discussing the culture and work environment at The Forge. Greg emphasized the use of pair programming where employees collaborate on projects rather than working in isolation. This practice helps reduce mistakes, allows several voices to discuss solutions, and creates opportunities to learn from each other. After showing us pictures of their workspace and discussing some of the practices that contribute to the work environment, Greg utilized a Beam telepresence robot to give us a virtual tour of The Forge. It was amazing to see not only the workspace itself, but also the possibilities of a telepresence robot. The video below includes a discussion of the philosophy behind The Forge and the work culture it creates, not just in Des Moines, but in all of Pillar Technology's locations. See OfficeLovin's "A Tour of The Forge by Pillar Technology in Des Moines" to see images of the innovative workspace in Des Moines. The purpose of Greg's presentation was for educators to see a new type of workspace that our students may spend their careers in and for us to consider how we can apply some of these same ideas to our schools today. This session left me with many ideas and led me to think about how we can integrate some of these same concepts into our schools. I have toured schools such as Iowa BIG and Waukee APEX that utilize some of the same ideas as Pillar Technology and I've read about High Tech High's innovative educational practices, but hearing about The Forge got me thinking about how these practices could be applied to existing schools and classrooms. A lot has been made in recent years of classroom design and how teachers or schools can use new types of furniture to create a more flexible learning environment. I think many of these products could be valuable in classrooms and I would like to see some of these furnishings in schools, but the reality is that most schools and teachers are not going to rush out and buy new furniture for classrooms, nor do I think this is necessary. After listening to Greg's presentation and talking to other educators after the session, I began thinking about how The Forge is really more about culture than workspace. Workspace definitely contributes to the culture, but as we seek to establish this culture in our classrooms, mindset is just as important as the physical space. There are many examples of educators and schools that have established great learning environments without expensive remodels or furnishings. I think one of the biggest things educators can do to establish this type of culture is emphasize the 4 C's in their lesson design. By focusing on critical thinking, communication, collaboration, and creativity we can create a classroom culture that places importance on learning and makes students feel like a valued part of the educational process. This environment emphasizes the importance of continual learning, allows students to explore topics that interest them (within the curriculum), promotes collaboration, and allows for creative expression of learning. There are many small steps every teacher can take to begin establishing this type of culture in their classroom. Something as simple as getting desks out of straight rows and into groupings can help promote increased collaboration. As a culture of collaboration develops, students will feel accountability to their classmates and their learning rather than simply compliance (or in some cases, a lack of compliance) to the teacher. The trust that develops will help students feel empowered to share their own ideas and creative expressions. Students will feel like they have more control over their learning and, as a result, will begin to seek out additional learning both within and outside the required curriculum. 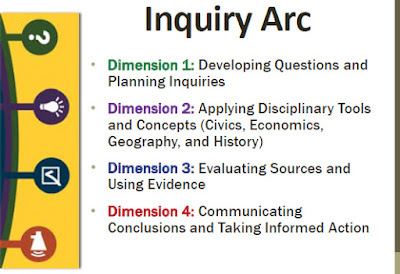 Many of the thoughts I expressed above naturally integrate with the inquiry arc. By creating an environment of inquiry, we allow students to experience deeper learning. Inquiry-based learning emphasizes facts in context and as evidence rather than what students often perceive as a list of disjointed things to memorize with no larger purpose or application. When students have the opportunity to discover content rather than a teacher providing them with essential concepts, they feel empowered and place greater value on learning. Past Present and Future. Available http://nas.edu/SBS-in-K-12-Education-Seminar. As good as all of this sounds, it can be difficult to implement. Many of us have an established paradigm that school is led by teachers who impart their students with knowledge. It is important to recognize that inquiry-based learning does not devalue the knowledge and experience of teachers, but it does require a different mindset. The gradual release of responsibility model is a useful strategy as teachers work to instill the skills needed for lifelong learning. Teachers will spend less time on whole-class instruction and lectures that give students information. Instead, educators need to spend time working with small groups and individual students to help them discover content and apply the skills necessary for learning. Educators now become a guide who coaches students through the learning process. I believe the culture of a classroom has a bigger impact on student learning than any other variable. I think by creating a culture where students value learning, work collaboratively, and are allowed to express their own ideas, we can not only better achieve our curricular learning goals, but also prepare students for an unknown future. What steps have you taken to promote a classroom culture where students feel valued, accountable, and emphasize learning? While watching the Super Bowl last night, I was struck by the incredible phenomenon this event has become. Although it is a football game, its appeal expands far beyond sports. The Super Bowl is nearly always the highest rated television program of the year and comprises 19 of the 20 most watched television broadcasts in the United States (the MASH finale is the other one). This event transcends sports, having become a cultural sensation that permeates nearly every segment of our society. Those who are not football fans are drawn in by the commercials, the halftime show, or the general hoopla that surrounds events of this magnitude. 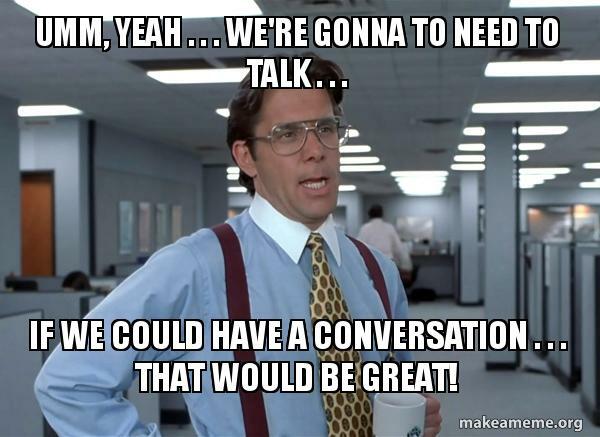 In some cases, people tune in simply to have knowledge of a sure topic of conversation at workplaces, schools, and social gatherings across the United States. Regardless of why people watch, this event has become an expression of American culture. Last night, while watching and considering the significance of the Super Bowl, I began thinking about the power educators wield when we connect events that are important to students with learning. I know there are many different lessons that leverage student interest in the Super Bowl to reinforce important concepts. I’ve seen lessons that seek to emphasize math, economics, advertising, media literacy, and many other concepts. I’m all for these types of lessons. I think we, as educators, must use every means at our disposal to pique student interest in our content and to make learning relevant to their lives. Thinking through this led me to consider how we can apply the spectacle of the Super Bowl to a social studies class. I’m sure there are great lessons that look at the cultural impact of the Super Bowl. Additionally, students could examine the economic impact of this event. There is also an opportunity, especially in this year’s politically charged climate, to analyze political statements, whether overt or implied by performers, commercials, etc. While thinking about the many educational tie-ins offered by an event of this significance, I came to the conclusion that it would be fun to have students create their own Super Bowl commercials. The commercials are a big part of the cultural draw of the Super Bowl and are often a talking point for days afterward. This activity also allows teachers to inject a discussion of media literacy and current events into a lesson that draws upon this shared national experience. I have not thought through all the specifics of a lesson related to Super Bowl commercials, but I wanted to share a few possibilities of how this idea could be applied to a history or social studies course. Students could be tasked with investigating products or items of cultural significance from an era in history and creating a commercial to advertise one of these items. Although this could be applied to nearly any topic, I see it fitting very well with time periods such as the late 19th century, the 1920s or the 1950s. These eras were more consumer-oriented and included a number of new products and inventions that have had a lasting impact on our society. 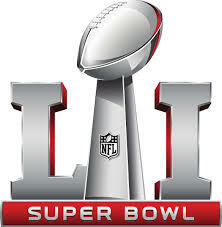 Geography or world cultures students could determine what events would be comparable to the Super Bowl in different countries, cultures, or regions of the world and develop commercials that could be applicable for these events. These ads could promote a consumer item, a cause, or something else that would be significant for the region being studied. Alternatively, students could develop ads for their class. These commercials could recap learning, highlight class activities, and/or promote the class to other students. Ideally, students would have plenty of time to investigate their topic, film a commercial, and perform edits to create a polished final product. However, if time constraints don’t allow for full implementation of this idea, the teacher could provide information and students could act their commercials out as live skits rather than taking time to film and edit a video commercial. Either way, I feel it is important to incorporate lessons on advertising techniques and media literacy along with this project. This helps ensure that students are not only learning our content, but also becoming knowledgeable 21st century citizens. Regardless of whether the final product is a video or a skit, I like the idea of having a viewing party that resembles a Super Bowl party as a culminating activity for this project. Commercials could also be posted online, allowing for a broader audience and students could be encouraged to comment on each others’ ads much like the commentary that accompanies Super Bowl commercials. This creates a great opportunity for a valuable discussion of digital citizenship and how to comment or respond appropriately online. In my experience, students love the opportunity to create. The process of creating a commercial requires students to apply their learning and to utilize many different skills, including the 21st century skills of creativity, critical thinking, communication, and collaboration, all while engaging in an activity that many students would enjoy. Please share any experiences you have had with a project like this or any additional ideas you may have that could enhance student learning in this type of lesson. Part of my role as an Instructional Technology Consultant involves helping organize events that promote the effective integration of technology. One of the ways our agency achieves this goal is through Technology Integration and Collaboration (TIC) events. We hold nine of these sessions per year with each one focused on specific grade-levels or subject areas. The purpose of TIC sessions is to allow area teachers to share their efforts to effectively integrate technology into instruction. Attendees are able to learn from presenters while collaborating with teachers from their grade-level/subject area who share an interest in increasing the use of technology in their classes. These free events generally include 3-4 presentations that can be viewed in person (which we recommend because this allows for more collaborative learning), virtually, or by viewing recordings on YouTube. Because of my background in social studies, I often take on the task of helping organize the Social Studies TIC session. This year I was excited to have 6 area teachers present 4 sessions highlighting some of their successes integrating technology into their social studies classes. Our first presenters, Alicen Morley and Jill Thieben, shared some of their experiences integrating Google Cardboard and virtual reality tools into social studies. Alicen teaches social studies and Jill is an English teacher and Technology Coach at Boone High School. Alicen and Jill's slides are accessible here and their presentation is viewable below. Our second presenter, Leslie Wiles, shared a number of different resources for social studies teachers as she discussed her journey from analog to digital in the classroom. Leslie is a middle school social studies teacher at West Central Valley Middle School. Leslie's presentation slides can be seen here and a video of her session is included below. Our third presentation featured Victoria Westerly and Heather Dutrey from Interstate 35 Schools. Victoria teaches middle school social studies and Heather is an instructional coach. Victoria and Heather shared their experiences with Google Classroom. Their slides are linked here and their presentation can be seen below. This year's TIC session concluded with a presentation by Kevin Neal and Diane Van Wyk. Kevin and Diane are high school social studies teachers at West Des Moines Valley High School. Diane and Kevin included a discussion of Quizalize, Quizziz, Quizlet, and other formative assessment tools. Kevin and Diane's presentation is included below. I always enjoy TIC sessions. These events provide a great opportunity to learn about ways teachers are using technology in their classrooms and it is a great opportunity to collaborate with other grade-level/subject area teachers. I especially enjoy our Social Studies TIC sessions as they provide me another opportunity to stay involved with social studies. #IMMOOC 4: Open Up and Say . . . Culture! I’ve fallen way behind in #IMMOOC, but I still intend to finish. Although this MOOC ended over a month ago, I plan to finish the last two parts of it and to share my reflections as I conclude this wonderful learning experience. As I read Part III of The Innovator’s Mindset, I was once again struck by how many things resonated with me. I feel like every time I read a new portion of this book I’m flooded with thoughts about the possibilities of school and ideas for how we can improve the learning experiences of children and adults. Many of these ideas are not new, yet hearing them in this context, paired with new thoughts, creates an inspiring action plan for innovating our learning experiences. Part III of The Innovator’s Mindset focuses on leading in a way that unleashes people’s talents. As leaders we need to recognize the strengths of those we serve and determine how we can create experiences that allow people to utilize their talents. By doing so we can lay a foundation for innovation that will permeate the culture of a building and have lasting effects on the lives of all involved. I like that, although written primarily for those leading adults in an educational setting, these ideas could also be applied to our work with students. Many of these same thoughts can help us establish an innovator’s mindset in the children we work with in schools and can help shape the culture of our classrooms. Duckworth, Sylvia. 5 Ways to Lay the Foundation for Innovation. Digital image. Flickr. N.p., 12 Nov. 2015. Web. 9 Dec. 2016. The sketchnote above by Sylvia Duckworth introduces the themes covered in Part III of The Innovator’s Mindset. Each of these topics left me with many aha’s of agreement and helped me see new ways of unleashing talent to promote innovation within our educational systems. Every chapter spoke to me in its own way, but I was especially struck by the possibilities of embracing an open culture. Much has been said about the isolating nature of teaching. We spend the majority of our time in a room with few, if any, other adults. This can feel very isolating, but, as George says in The Innovator’s Mindset, isolation is now a choice. 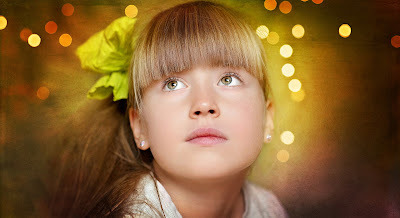 In the past we could try to interact with the teacher next door or someone down the hall and occasionally we might even interact with a like-minded colleague in another building or meet someone at a conference that shared our views on educating children. Today we all have the capability (and even the responsibility) of connecting with other educators. This is something I was not always good at when I was in the classroom (after 15 years as a high school history teacher, I left the classroom a little over two years ago to become an Instructional Technology Consultant). I initially resisted joining Twitter because I viewed it as one more thing I would have to check and I didn’t think I had time for that. I was also hesitant to blog or share things I was doing in my classroom because I didn’t feel my work was worthy of being compared to all the “experts” posting great ideas online. I often searched websites and blogs for lesson ideas, resources, and technology tips, but I was not actively connected. In January of 2012 I joined Twitter to see what it was all about. I looked around for a while, but I did not tweet anything or follow anyone. After this brief flirtation, I abandoned Twitter for the next year and a half. Then in January 2013, I took what I perceived as a big leap, I began blogging (my first post was To Blog or Not to Blog . . .). I was not always the most comfortable sharing, but I decided it was important that I share some of the things I was doing in my classroom. I don’t know that many people ever saw anything I was writing, but I began to realize that writing about things I was doing in my classroom helped me to reflect and refine my practices. Then in August of 2013 I took one of the bigger steps I have taken to improve myself as an educator, I came back to Twitter and this time I stuck with it. I realized it was very inspiring to see things other teachers were doing in their classrooms and to interact with like-minded educators. I still did not always share a lot, but I certainly gained a lot. Over time I have increased what I share and I have become more connected. Twitter has been one of the best sources of professional development I have encountered. In the beginning I did a lot of lurking before slowly interacting more with my growing PLN. Throughout my time on Twitter I have been very happy to find many like-minded educators who share my views on educating children. 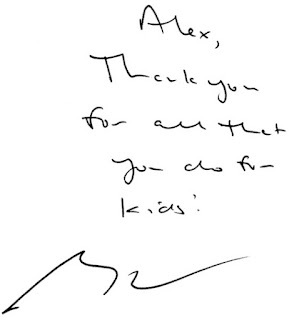 This has inspired me to become better at my job and encouraged me to take risks and try new things. I think this is one way we can nudge other educators to take risks, try new things, and become more innovative. The open culture established by Twitter and other social media tools allows us access to people and ideas from around the world. We have a responsibility to demonstrate to students how we can use these connections for the advantage of everyone involved. Our students live in a world with ever increasing online interactions and we must teach and model how to use this for the advantage of all. Dee, Linda. Here Floof, Sharing Is Caring! Digital image. Imgur. N.p., 7 June 2016. Web. 9 Dec. 2016. I love the idea of school hashtags and teachers sharing one thing to this hashtag every day. This encourages sharing and competitive collaboration that will benefit everyone. It also provides an opening for more educators to become active on Twitter and to expand their PLNs while creating meaningful learning experiences for themselves and their students. The community created through this type of collaboration establishes a culture of learning that will reduce teachers' perceived vulnerability in sharing the great things happening in their classrooms. 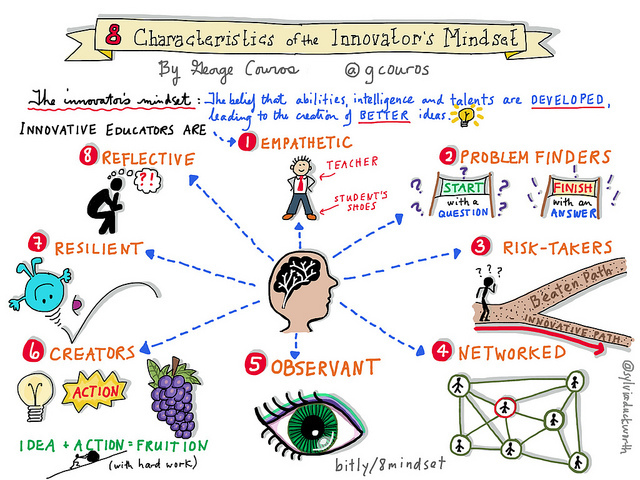 As George Couros states in The Innovator’s Mindset, we must disrupt our routines and think differently to be innovative. Twitter and sharing through an open culture are a great step toward new, ever-changing routines that help us innovate in a way that pushes our learning toward the ultimate goal of better meeting the educational needs of our students. I took the leap toward sharing through a blog and connecting with educators on Twitter and I am definitely better for it. I strongly feel that being connected can help educators improve their craft more than almost any other thing they can do. With tomorrow being the 75th anniversary of the attack on Pearl Harbor I’ve been thinking about strategies for teaching the “day of infamy.” My goals in teaching about Pearl Harbor have always been for students to discover the reasons for the attack, to recognize the shock and fear many Americans felt as a result of the attack, and to realize that despite its devastation, this attack did not cripple American efforts, but instead united the country behind the war effort. Alston, Charles Henry. 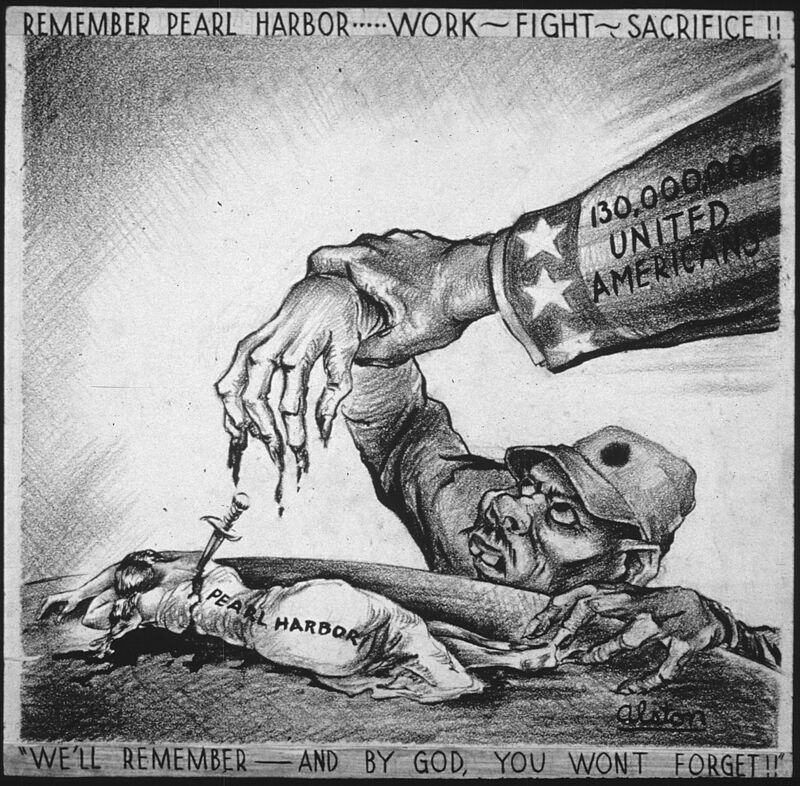 "REMEMBER PEARL HARBOR - WORK - FIGHT- SACRIFICE!!" / "WE'LL REMEMBER - AND BY GOD, YOU WONT FORGET!!" Digital image. Wikimedia Commons. N.p., 7 Oct. 2011. Web. 6 Dec. 2016. It is essential for history teachers to include primary sources in lessons to give students a chance to experience the role of a historian. Primary source analysis provides an important opportunity for students to practice critical thinking skills and to learn how to piece together information for themselves. I’ve utilized several different approaches for teaching Pearl Harbor with primary sources, but one of my favorites is simply asking students to analyze sources to determine why Japan chose to attack the United States. This creates a sense of a mystery for students as they attempt to discover the reasons for the attack. I have searched and compiled primary source sets in the past, but there are many pre-assembled primary source sets available on this topic. I enjoyed using the set put together by the DBQ Project as part of their Why did Japan bomb Pearl Harbor Mini-Q (although this does require purchase of the mini-q). I find that DBQs are an excellent way to gather primary sources for class activities. The sources in DBQs are already excerpted to a short, manageable size and can easily be adapted to a number of classroom lessons. 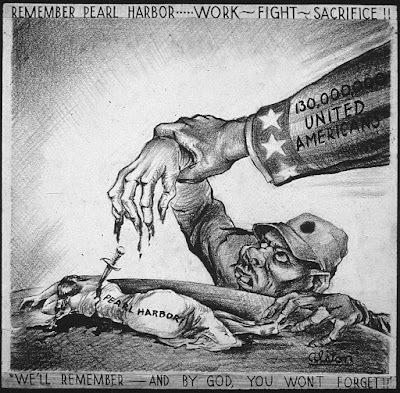 A quick search for “Why did Japan attack Pearl Harbor DBQ” yields many results with a number of valuable primary sources that can be used with the DBQs they were compiled for or for other classroom activities. I also like to have students analyze firsthand accounts of the attack. I want my students to realize that history involves real people who aren’t all that different from them. Eyewitness accounts help to reinforce this reality. One such source is Ginger’s Diary. I like this account because it is written by a 17-year-old girl, making it something students can relate to. 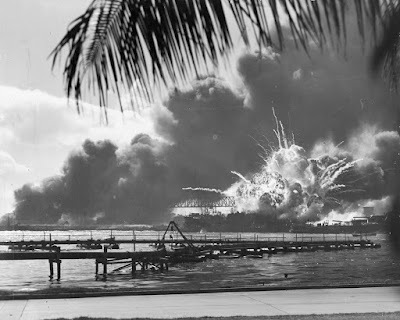 Essential Pearl Harbor includes several other similar accounts, this website also has a number of other valuable resources for teaching about the attack on Pearl Harbor. 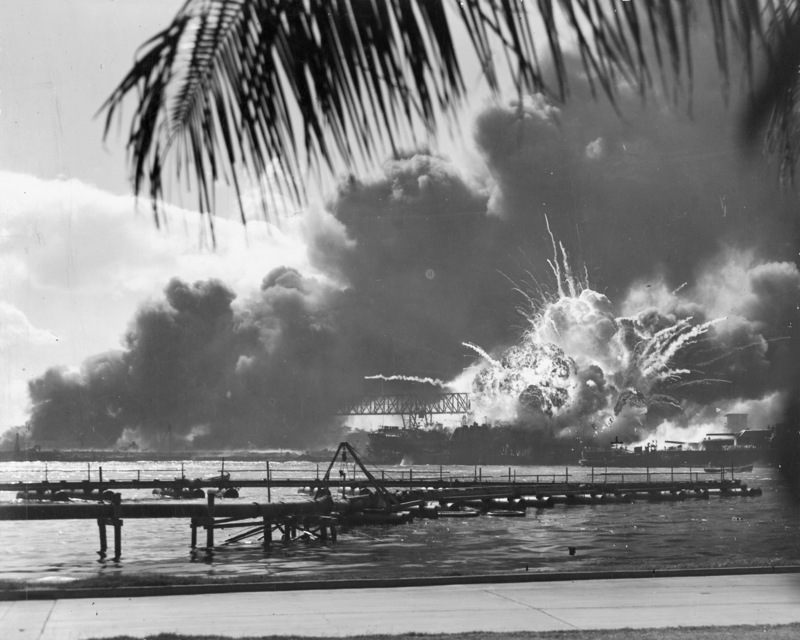 Remembering Pearl Harbor includes accounts of sailors who witnessed the attack. Thanks to Richard Byrne, I just discovered The 1941 Project, which is an interactive map featuring stories of survivors of the attack. Student analysis of these firsthand accounts may be done in a variety of ways. Depending on the dynamics of a class, I might have students simply read and discuss these sources. Other times we’ve compared and contrasted different views of the attack, and still other times, I’ve asked students to read firsthand accounts and write an entry as if they’ve just witnessed the attack. This allows them an opportunity to be creative and express feelings similar to those they’ve read about. Unknown Navy Photographer. A navy photographer snapped this photograph of the Japanese attack on Pearl Harbor in Hawaii on December 7, 1941, just as the USS Shaw exploded. Digital image. Wikimedia Commons. N.p., 2 Nov. 2007. Web. 6 Dec. 2016. I also like to use activities similar to the deliberative strategies that are common in the Choices Units by Brown University. I like these activities because they generally require students to take on a role and/or a specific perspective as they view a key decision or event in history. Students must analyze and synthesize information to support a point of view. In this case, I ask students to imagine they are part of a congressional committee tasked with investigating the attack on Pearl Harbor. I divide the class into groups and assign each group a topic to investigate as they prepare to testify before the committee. Groups include a report on the attack itself (what happened), why Japan attacked, did FDR know about the attack, did Churchill know about the attack, and was the attack a success. Additionally, one group takes the role of committee members and they must develop questions to ask each group as they testify. Today I discovered another good lesson for teaching about Pearl Harbor. In Pearl Harbor & Hawaii during World War II, students predict why Japan might have attacked, conduct research on the attack, and take part in a Google Expedition to gain background knowledge on Hawaii. Students then use My Maps to create an interactive map illustrating the attack. This is obviously a more involved and more time consuming lesson plan than some of the ones I mentioned above, but it seems to do a nice job of incorporating different skills and utilizing technology to create a student-centered lesson. I like the inclusion of Google Expeditions (Expeditions is a virtual reality app that allows users to view 360-degree panoramas, creating an immersive experience that makes users feel as if they have travelled to different locations. This app can be used with or without virtual reality headsets, such as Google Cardboard.). I also like the integration of My Maps, which I discussed in Finding Your Way - Using Google Maps in the Classroom. I’ve had an amazing few weeks of learning that caused me to put a lot of thought into what school can be. In addition to reading Part II of The Innovator’s Mindset and viewing Episode 3 of the #IMMOOC YouTube Live Sessions, I also attended the Iowa Technology and Education Connection (ITEC) Conference last week. I always enjoy the opportunity to learn from presenters and participants at conferences. I found this year’s conference very inspiring as I attended many different sessions that made me think about how we can innovate to better meet the needs of our students. Presenters like George Couros (@gcouros), Pernille Ripp (@pernilleripp), Chad Kafka (@chadkafka), Robert Dillon (@ideaguy42), and more pushed my thinking and helped me dream about the possibilities of education. 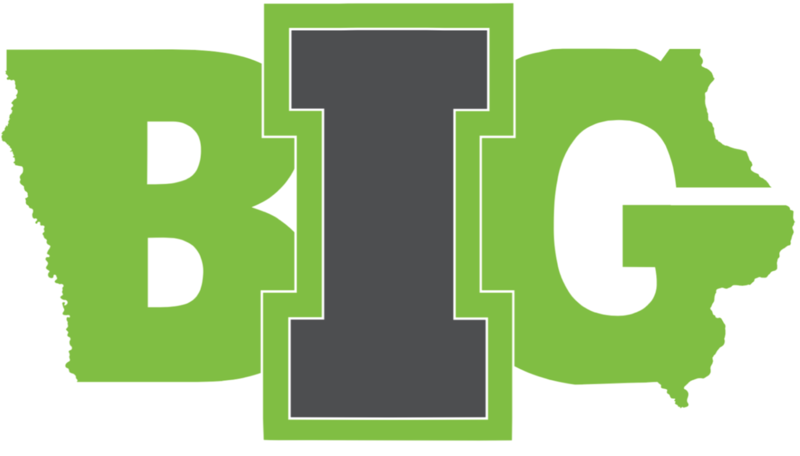 I was impressed as I learned more about Iowa BIG, a project-based high school built around the ideas of student passion, authentic projects, and connections to the community. Throughout all of these learning opportunities, I kept coming back to the themes of vision and culture. I truly believe that vision and culture go hand in hand. A staff that has a shared vision in which they truly believe, will establish a culture of learning (for educators and students). This reinforces the importance of involving all stakeholders in establishing a vision. Everyone affected by the vision needs to have a say in its creation and should be able to explain how it translates into the classroom and learning. This simple step of allowing voice (whether in creating a school-wide vision or one for your own classroom) can have a profound effect on the buy-in of all stakeholders. This can be one of the first steps in establishing a collaborative culture of learning. Inclusion of all stakeholders in this process helps to build trust and is the first step toward empowerment of learners. This allows for the development of a culture where learners (whether teachers or students) feel supported in taking risks and feel that their voice matters. Leaders must then continue to develop relationships and allow learners to meet their own needs through the procedures that are in place. As I read The Innovator’s Mindset, I was struck by the power of conversations. This theme was also prevalent in my sessions at ITEC and as I listened to Kaleb Rashad on the YouTube Live session. I realize this may seem like common sense, but I kept coming back to the importance of meaningful conversations that involve teachers, students, parents, and community members about what all of us see as the purpose of school. 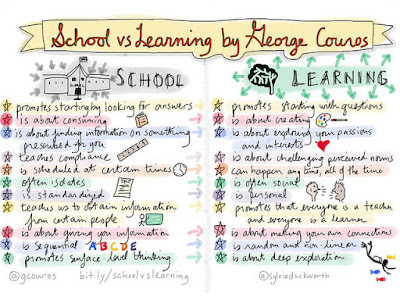 George’s comparison of school vs. learning got me thinking that few people would disagree with his assessment of learning and that many would also not argue about the realities of school. However, I think many people have not put a lot of thought into the disparity between the characteristics of school and those of learning. This leaves us to discuss how we can narrow the gap between the two. Educational leaders must promote these meaningful discussions that can be impactful for the educational process. Resources such as the characteristics of school vs. learning, the “what if” questions from chapter 7 of The Innovator's Mindset, and documentaries such as Most Likely to Succeed can provide excellent conversation starters to help us push the envelope of innovative educational practices. Beginning these conversations promotes a move toward a more unified vision of action that goes beyond a written vision statement. As more voices feel empowered to contribute to this discussion, culture will begin to shift and the focus will truly become about what is best for learners. I certainly do not believe that discussions alone will create idyllic learning environments, however, I feel that a process that involves everyone in a discussion about schools will help establish a culture that puts learners first. This is essential for innovation in education, as I believe culture is the biggest determinant of success in schools. Week two of the Innovator’s Mindset MOOC (#IMMOOC) involves a study of Part I of The Innovator’s Mindset and a YouTube Live session featuring Shawn Clark and Brady Venables from Saluda County Schools in South Carolina (check out their blog, Classroom Confessional). As I read Part I and watched the YouTube Live session featuring Brady, Shawn, George, and Katie, I began dreaming about what school could look like. I started thinking about how we can create a school system that gets kids excited about learning rather than dreading each day of school. I excitedly considered ways we can change the structure of learning to better meet the needs of our 21st century learners and prepare them for the world they will face, rather than the world our grandparents faced. I began thinking of examples like High Tech High, Iowa BIG, and ideas such as those from the documentary Most Likely to Succeed. Thinking like this gets me excited about the possibilities of education, but the excitement then fades as I consider the realities of our educational system and its place within our larger society. The pragmatist in me recognizes the realities of our data-driven system that emphasizes test scores in measuring the successfulness of schools and teachers. As George Couros states in The Innovator’s Mindset, “we have taken the most human profession, teaching, and have reduced it to simply letters and numbers.” I see teachers that are struggling to keep up in the current system and thus unlikely to try new ideas. I see administrators pressured by outside voices that want schools to do more and more for students while maintaining our 19th century paradigm of how school should look. I see parents and community members who want what’s best for their kids, but are stuck viewing education through their own experiences and thus view more school (more and longer days) and more homework as more rigorous. Too many people in our society are stuck in the factory model of education that no longer applies to our students. There is no need in today’s world to drill students on facts. I agree that a certain level of factual knowledge is important to be culturally literate and creates a base upon which further learning can build, but the days of school being about learning facts are gone. Our students have a machine in their pocket that can produce more facts, faster than we could’ve conceived during our days in school. As I dream about the possibilities of education and then crash back to reality, I finally settle somewhere in between. This week’s activities helped me to more fully develop some of the thoughts that have kept me involved with education despite my rollercoaster of emotions. I enjoyed the emphasis on innovating within the box. As I read about this concept, I realized this is something I have done throughout my time in education. I have never been involved in a school that truly went outside the box, yet innovation can take many forms and doesn’t have to involve blowing up the existing structure (even if we would like to do this at times). As we work within the tightly constructed box that is our educational system, we must continually ask the why. I agree with this week’s reading that the why of education is to develop learners and leaders that will create a better present and future. As long as we keep our focus on this goal, we can innovate within the bounds that exist in our educational realities. This means we all need to focus on the creation of a new and better way of reaching the students we serve. We must improve upon existing practices to allow us to meet the needs of our students. Working toward this end will allow us to grow in our profession, our methods, and our own personal learning, while adapting our practices to better meet the needs of those we serve. Katie Martin reinforced this idea by stating, “It is becoming increasingly clear that we don’t necessarily need to transform the role of teachers, rather create a culture that inspires and empowers teachers to innovate in the pursuit of providing optimal learning experiences for their students.” George uses this quote in The Innovator’s Mindset to reinforce the point that innovation does not require transformation. We must simply change the way we look at things. Innovation can come from invention (creating something new) or iteration (changing something that already exists), but it requires us to open our thinking to new possibilities. The biggest change that needs to happen is putting students, rather than teachers, at the center of the classroom. For too long we have existed in a teacher-centered model of education, but we want students to do the learning. This brings me to another theme that continually popped up throughout Part I of The Innovator’s Mindset and in this week’s YouTube Live session; empathy. Educators must put themselves in the shoes of their students. 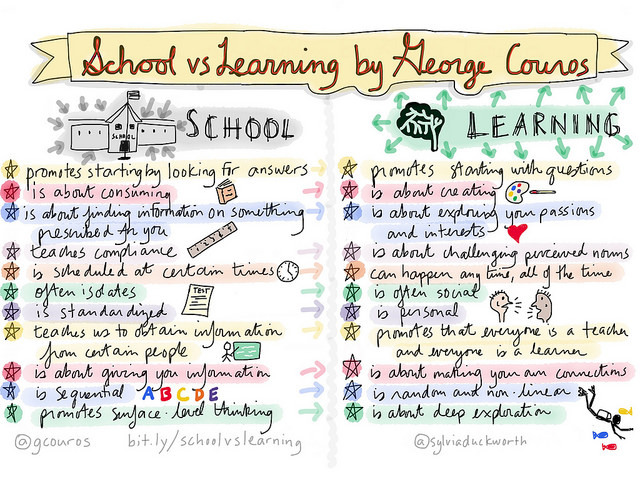 Consider what it is like to be a student in your school or your classroom. How would the methods, routine, and culture of the school feel to a student? And, more importantly, how can you improve this? What is this student's passion? As illustrated above, innovation does not have to involve expensive technology, we don’t have to scrap our existing system and start from scratch, it does not have to be something no one has ever done, we simply need to look at things from a new perspective and apply it to the needs of our students. This is what the innovator’s mindset is all about, a mindset that allows us to look for new ways of working toward our why - developing learners and leaders that will create a better present and future. As long as we are always asking ourselves, what’s best for students, and working to achieve this end (even within limitations that are outside of our control), then we are being innovative. This seems like a simple proposition, but it will not always be easy. People do not like change, even when they know deep down that it is for the best. Others will question our adaptations of the existing system. Students may even want to go back to the old methods. We have trained students to be “academically compliant.” They often enjoy the simplicity of not having to think too deeply and of there always being a correct answer that can be found from a textbook or a lecture. However, is this what is best for them? If we truly think we are right, then we must stick to our philosophy and not allow a few naysayers to derail our efforts to improve the educational experiences of our students. Those who promote change and embody the ideas of the innovator’s mindset exhibit the following characteristics as illustrated by Sylvia Duckworth. As George states, “When forward-thinking schools encourage today’s learners to become creators and leaders, I believe they, in turn, will create a better world.” So ask yourself every day, how can I improve the learning experience for my students in order to develop learners and leaders that will create a better present and future. By following through with this thinking, you are innovating and making a difference in the lives of our young people. I want to thank Brady, Sean, Katie, and George for helping to push my thinking while at the same time keeping me grounded. I love the opportunity to dream while recognizing how to adjust these dreams to the current realities of our educational system.